There is a number of people who either clench or grind their teeth when they sleep. Surprising enough, most of these people are not aware of these destructive habit when it happens. However, a Tigard dentist is able to see evidence of this wear and tear pattern that is caused by the grinding of teeth. They can be able to see the flattened or missing surfaces of teeth that are the pathway of this grinding pattern. The normal mouth has a normal routine that should always be in harmony with the regular arc of movement of the jaw joint. When there are no teeth or some are missing, or even slightly out of alignment with the joints, the muscles with greatly try to mediate this discrepancy. Due to this fact, the end result is either clenching or grinding which is a result of trying to balance the issue. Therefore, the teeth that are involved will either hurt, move or wear away. Other side effects due to this happening include; discomfort that radiates along the jaw, headaches or limited opening. In addition, you can also experience these symptoms at a go over many years to come. Why do you Need a Bite Guard? 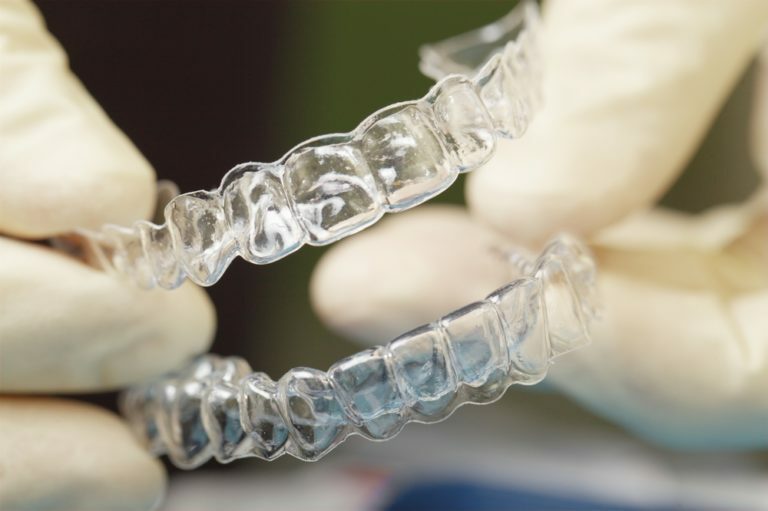 After visiting a Tigard dentist, it may be decided that a bite guard would be ideal for you to help reduce the issues that come with clenching and grinding of the teeth. The bite guard is made in a custom and unique way. It aligns with your jaw joint and fits your own biting scheme. The design that you will get should remake a balanced occlusal scheme. The scheme is supposed to pacify the muscles that are involved in this process as well as distributing the biting forces to the proper teeth. What are Bite Guard Made Out of? Bite guards are normally made out of hard acrylic. This enables the dentist to adapt and adjust the guidance. The fact that it’s made out of a hard substance, it helps to adapt to the scheme easily. The main difference between this bite guard and the one that is purchased at a retail store is that there is no direction for the bite relative to the specific individual. Some of these guards are made in order to cover the teeth surfaces but not to pacify the muscles of chewing. The Softer bite guards actually promote chewing/gnawing because they are softer and easy to chew. The main aim of a bite guard is to discourage clenching as well as biting. A dentist in Tigard would recommend these soft guards for athletic purposes. They help to protect against impact injury but do not provide an ongoing relief from the many effects of grinding the teeth. First of all, you need to come and see a dentist to determine if the bite guard would be of any help. Your information is then taken and a custom bite is fabricated and designed. Once finished, it is delivered to the patient and the necessary adjustments are carried out. If any further changes are needed, a patient can come back for more adjustments. A visit to a dentist in Tigard would ultimately ensure that you get yourself a fitting and adjusted bite guard that can last for a long time.